TOKYO — After a month of misfortune, Miwako Ikema finally had some luck. Out of 700 applicants, she and about 100 others who fled homes near the stricken nuclear power plant in northeast Japan won one of the many lotteries that decide who gets a proper room and who gets left in cold, crowded evacuation centers. Mrs. Ikema and her teen-age daughter share a room on the 17th floor. Her room has a television, hot running water and a view of the Tokyo expressway. The Tokyo government also provides them with free cafeteria meals, and volunteers help them find information about schools and job centers. In another lottery, about 100 survivors — out of 1,160 applicants — moved this week into 36 well-equipped temporary units outside an evacuation shelter at a junior high school aboveRikuzen-Takata in northeastern Japan. Hiroshi Kameyama, mayor of the town of Ishinomaki, told reporters last week that in another lottery 3,145 households applied for 137 temporary homes under construction. Small numbers of temporary shelters are also under construction in other areas of Iwate, Miyagi and Fukushima provinces, all areas devastated by the March 11 earthquake and tsunami. More than a month after the disaster, the Japanese government is only now starting to put together a supplementary budget of $6 billion to build about 70,000 temporary homes for an estimated 200,000 survivors living in shelters, plus large numbers of evacuees staying with friends or relatives. At the Akasaka hotel, Mrs. Ikema talked of the stress of trying to rebuild their lives. 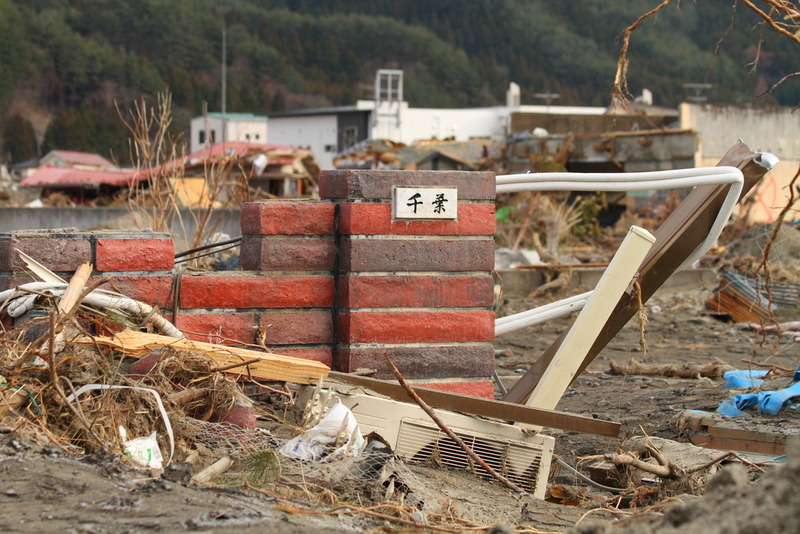 Many of the 70,000 residents of her town of Minami-Soma have been relocated throughout Japan. Her neighbors who survived a tsunami that obliterated nearly everything in the city for 6 miles have not been able to return to look for missing relatives amid untouched debris of wrecked cars and demolished buildings.